To help safeguard your future digestive tract health, it is important to seek diagnosis and treatment when you experience symptoms of gastrointestinal conditions. Dr. David Yamini and his team provide access to diagnosis and procedures which are designed to detect serious GI problems and get to the root cause. Your digestive health is a vital part of overall well-being and can keep you in excellent shape throughout your life. 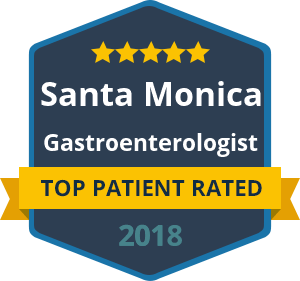 If you want to pursue the highest possible quality of gastrointestinal care in California, look to the team of Dr. David Yamini. We provide access to excellence in GI care at two offices, which are located in Beverly Hills and Santa Monica. You will receive an open and honest consultation and a treatment plan that is designed to provide relief from pain and discomfort. Many of Dr. Yamini’s patients come to him because they have exhausted every option with their family doctor and need the opinion of a specialist. Unlike a GP, Dr. Yamini has the skills and tools to perform colonoscopies, colorectal cancer screening and percutaneous endoscopic gastrostomy (PEG). These procedures are carried out by gastroenterology professionals who understand the digestive tract and the implications of severe conditions. If you value your gastrointestinal health, place your care in the hands of people who have dedicated their lives to the field of gastroenterology. Dr. Yamini and his team are waiting to add you to the long list of patients who have found relief from persistent pain and discomfort. Make your first appointment today by contacting us or by calling the offices of Dr. Yamini in California and discussing your needs with a friendly member of our staff. You are just a phone call away from realizing excellence in GI health.